ProperComm® is specifically designed to be a “procedure for communicating” by or for anyone who is in high conflict or have difficulty communicating in an appropriate manner. Communication Experts act as a mediary between you and the recipient. 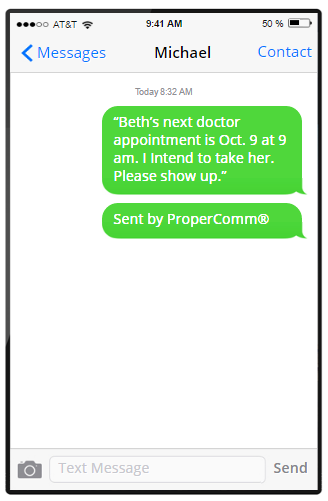 Use ProperComm to communicate via text or email, or even via phone. The team behind ProperComm understands the legal complexities of documented communication for legal compliance. 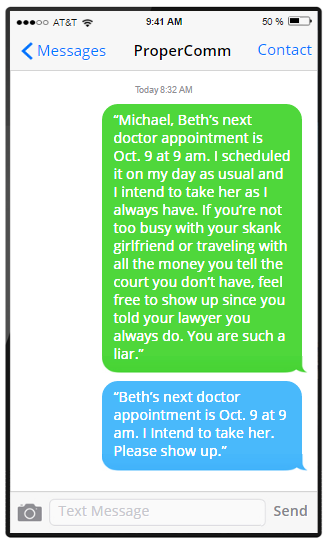 ProperComm® is specifically designed to be a “procedure for communicating” by a parent or for parents who are in high conflict or have difficulty communicating in an appropriate manner. 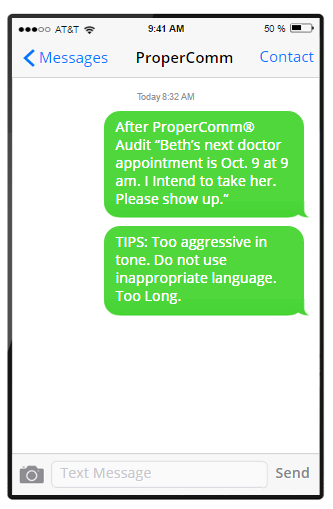 ProperComm® was developed to promote constructive communication between parents by having an “auditor” review and revise, if necessary, email or text communications between hostile parties. ProperComm® edits email communications to delete words and phrases expressed in hostile ways and that are not necessary for conveying appropriate points in the email or text message. Want to work on improving your hostile communication? 4. ProperComm®sends you feedback about how you can improve the message. 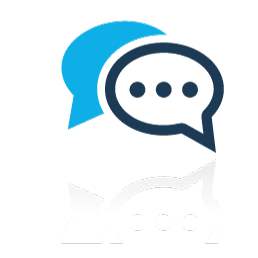 ProperComm's trained staff edits the messages for appriopriate language. Parties will receive a Certificate of appropriate Communication after 90 days of unedited messages and a minimum of 20 unedited emails, 40 unedited text messages, or a combination of 40 consecutive unedited text or email messages in that 90 day period. ProperComm® sends the message on behalf of the original sender and receives any follow up communication. I cannot express the relief it has given me in so many ways. To be able to open my emails and not have the anxiety of what is going to be thrown at me now. The reassurance that I am not going to be threatened, belittled or beat down in some way day in and out. I have recommended people in similar situations and feel it is a great tool for people to use during a heightened time of conflict and emotional stressors. The final benefit is that you essentially get a “receipt” for messages that have been approved and sent, it provides a valuable backup in the event that it needs to be presented to a court for review or proof of content of communication. 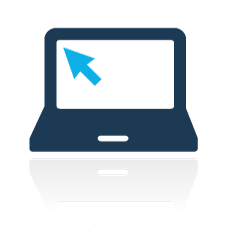 ProperComm® teaches users to communicate more appropriately and effectively. It is often necessary for victims to continue to communicate with their abusers and they can become anxious and afraid to open emails and/or text messages. ProperComm® eliminates that fear because the abusive language never finds its way to the victim unless there is a threat. All threats will be sent through without editing. When the parties are constantly sending hostile messages to each other they are more likely to end up back in litigation with many email exhibits showing the other parties’ abusive behavior. Costs incurred in litigation include but are not limited to attorney fees, filing fees and often times mental health professional fees. By Negative Reinforcement – Emails cost $5 for the first 70 words – text messages cost $1 for the first 70 characters. The parties must decide if the next word is worth another $5 or $1. This teaches the parties to be brief, direct and to the point. It also provides for a negative consequence for long rants. 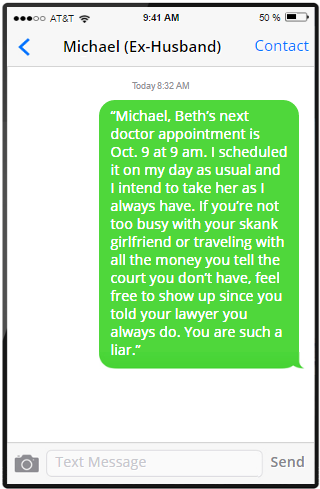 Judges are often bombarded with hundreds of emails and text messages provided by litigants as exhibits, reducing the amount of time available to handle more emergent situations. ProperComm® actually eliminates the emails. They no longer exist. This allows the parties to continue co-parenting without court intervention because the harassment is eliminated.